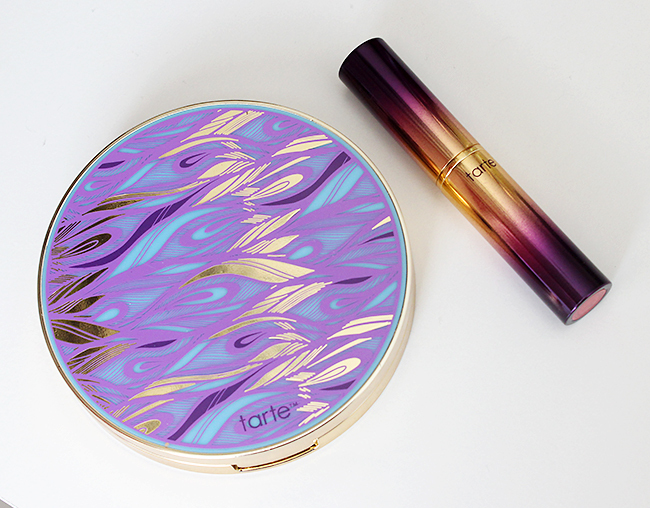 Tarte Cosmetics Rainforest of the Sea eyeshadow palette and drench lip splash lipstick in Mai Tai review & swatches! I have been anxiously waiting for Tarte's Rainforest of the Sea collection to come out because since I first read about it and saw those gorgeous photos screaming beach, turquoise sea and all things summer I fell in love with the whole idea of owning pretty much the entire collection. I really wanted to get the gorgeous ombre brushes too, but unfortunately, my budget didn't let me get there, which is probably a good thing cause I would have gotten errrrything, LOL. 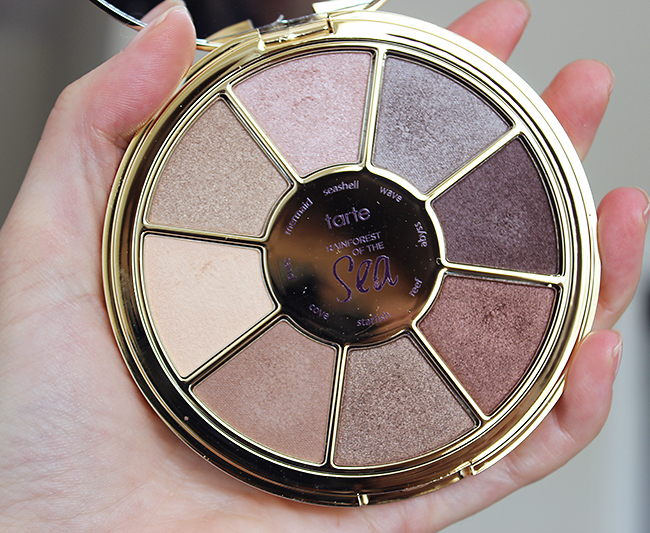 Anyways, like I've mentioned above, yes pretty packaging matters to me but also I have been a huge fan of Tarte's palettes in the past (check my previous reviews here and here) and this time I've heard the company has changed a bit the formula of their eyeshadows, so I was really excited to see how that turned out. This limited edition eyeshadow palette is smaller in size comparing to the previous Rainforest Of The Dark which I have and love dearly (review here) and contains mostly shimmery shades. When I first looked at it I thought there were no matte shades but after doing some swatches Sand and Cove seem to be more on a semi-matte satin shade. I really love all the shades which do stay in a pretty neutral color range, which makes the palette very wearable and great to use for work/school. Below you can check out the swatches. 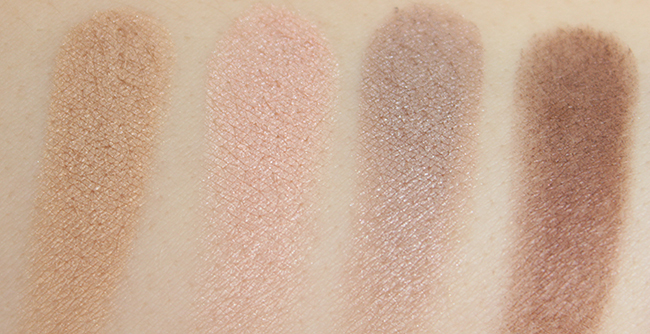 I skipped Sand shade because it did not show at all during swatching and it's probably the only shade I don't really care about in this palette. 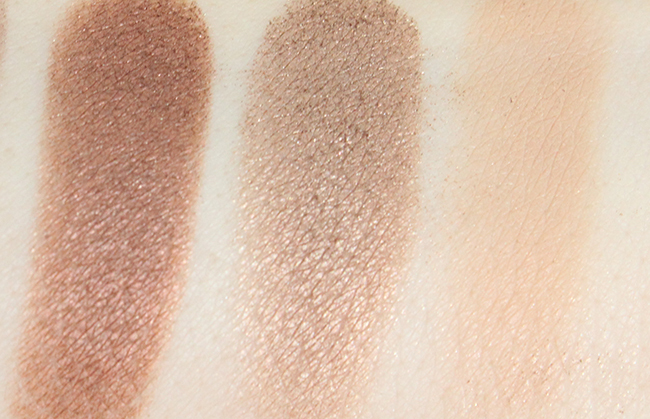 The texture of the eyeshadow is more on the buttery side with great pigmentation except for Sand, but I didn't have any issue with the previous formula either. 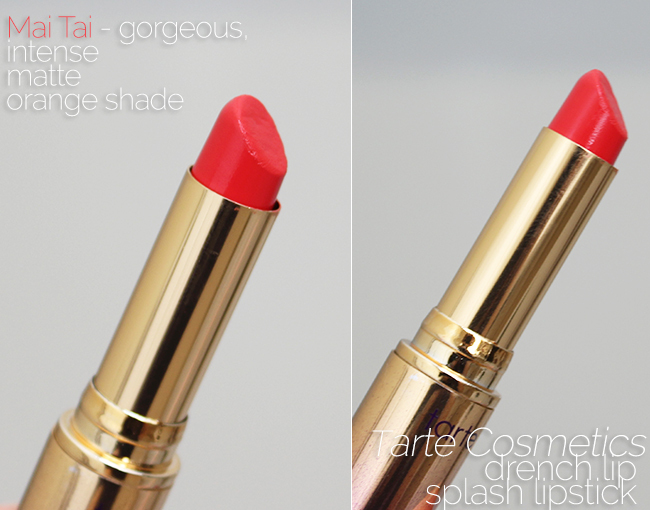 Tarte's drench lip splash lipstick in Mai Tai is a full coverage, matte orange shade. It is absolutely gorgeous and bright and screams summer (at least to me LOL). It reminds me of the old Revlon's lipstick Orange Flip a bit. I love the creamy formula with the matte finish, which glides smoothly on the lips. It feels very moisturizing on the lips and the color is so rich and pigmented, I love it. The only thing I am a bit disappointed about is the amount of product itself... it only has 2.4g comparing to, for example, MAC's lipsticks which are 3g and cost few bucks less, but overall it is a gorgeous shade and the packaging is the bomb. Summary: Overall, I am very happy with both products and yes let me say it again, I absolutely love the packaging of this collection haha! 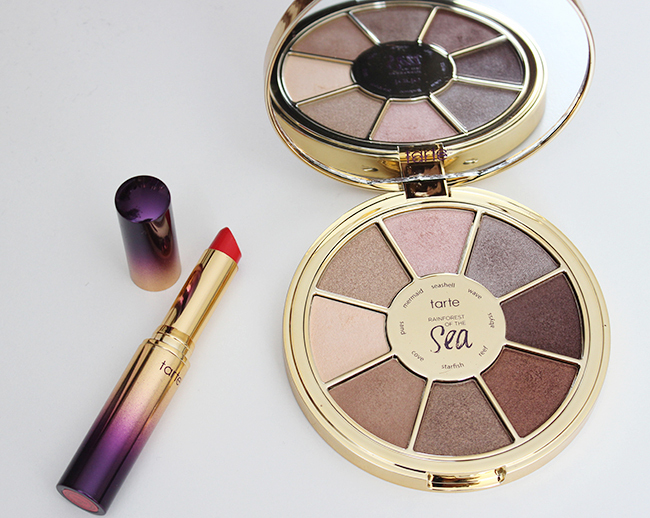 Have you gotten anything from Tarte's Rainforest of The Sea collection? 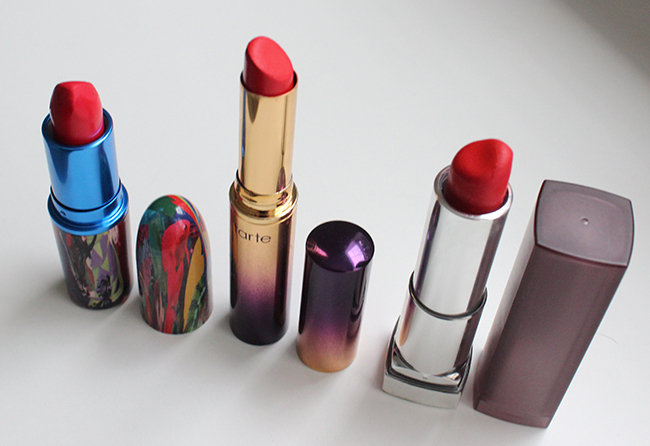 Check Out My Favorite Orange Lipsticks At The Moment!